The Girl's Name of the Week is a beautiful choice that often gets overlooked: Antonia. 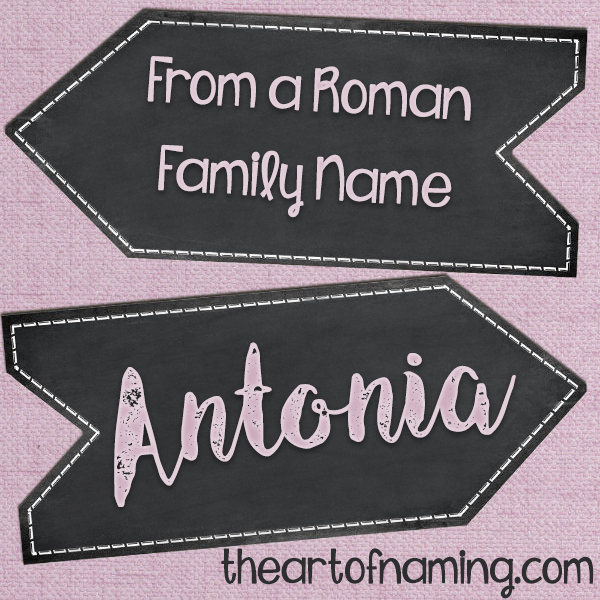 Antonia is the feminine form of the Roman family name "Antonius" from which the male names Antony, Anthony, Antonio, etc also come. All of these names unfortunately do not have a known meaning. 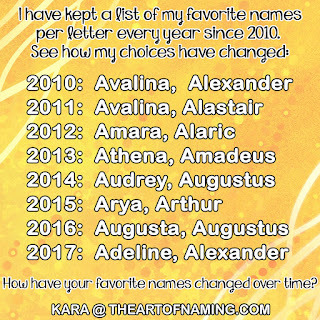 In the 17th century, names like this were confused for having origins from the Greek word "Anthos" which means "flower" and resulted in the letter "h" being adding to names like Anthony. Some websites will claim meanings for these names, but none have been proven to be true. I have seen meanings listed for Antonia such as "priceless," "beautiful," or "praiseworthy." If you wish to use one of these meanings for your daughter, that is fine with me, just remember they haven't been proven as the true meaning based on the root name Antonius, which has an unknown meaning. Antonia and its variant forms such as Antoinette and Antonella, among others, have strong roots in history. A popular example was the Queen of France Marie Antoinette (born Maria Antonia.) There were also many women in Roman Antiquity named Antonia. In 2007, Antonia took a nose-dive off the US Top 1000 chart. It had a strong popularity spike in 1996 with 669 babies born and then it immediately declined in usage afterward. There were only 219 baby girl Antonias born in 2012. Confusingly, there were also 6 males given this name. Antonia historically saw decent usage in the 1920's and again in the 1950's before its big spike in 1996. If you are looking for a solid name with plenty of history without a ton of current popularity, Antonia is a great option! It ranked at #1122 in 2012. Revision: As of 2016, Antonia ranks at #993 with 264 births for the year. What do you think of this name? Do you prefer one of the variants instead? What would you pair with Antonia? I love the name Antonia!